Equality Texas Foundation announced today an exciting new $250,000 contract awarded to the Texas Health Institute and the Equality Texas Foundation for TransFORWARD: A Statewide Transgender-Powered Research Collaborative in Texas. The project will engage transgender Texans in a ground-breaking research capacity-building project to improve the lives and health of transgender Texans. The Washington D.C. based Patient-Centered Outcomes Research Institute (PCORI), an independent, nonprofit organization whose mandate is to improve the quality of healthcare based on evidence,awarded a first-of-its-kind contract, research capacity-building project to connect transgender Texans with medical researchers. The Eugene Washington PCORI Engagement Award will build research capacity by engaging 2,500 transgender Texans in clinical comparative effectiveness research studies. “We know transgender Texans are denied healthcare altogether or have a difficult time accessing culturally competent care. For the first time, funding has been dedicated to build capacity for research projects that will engage transgender Texans all over the state. The project will allow us to produce more useful and trustworthy research, which will ultimately lead to improved healthcare for transgender Texans,” said Lou Weaver, Transgender Programs Coordinator for Equality Texas and TransFORWARD Co-Director. The additional resources will allow an increase in the number of transgender persons participating in research. Studies show transgender Texans face barriers accessing quality, affordable healthcare whether it is routine healthcare that is unrelated to their transgender status or transition-related care. A Research Engagement Advisory Council will be formed to guide the two-year project and eight regional groups will be created across the state where transgender patients, researchers, and organizations will participate in patient-centered outcomes research at various health institutions. 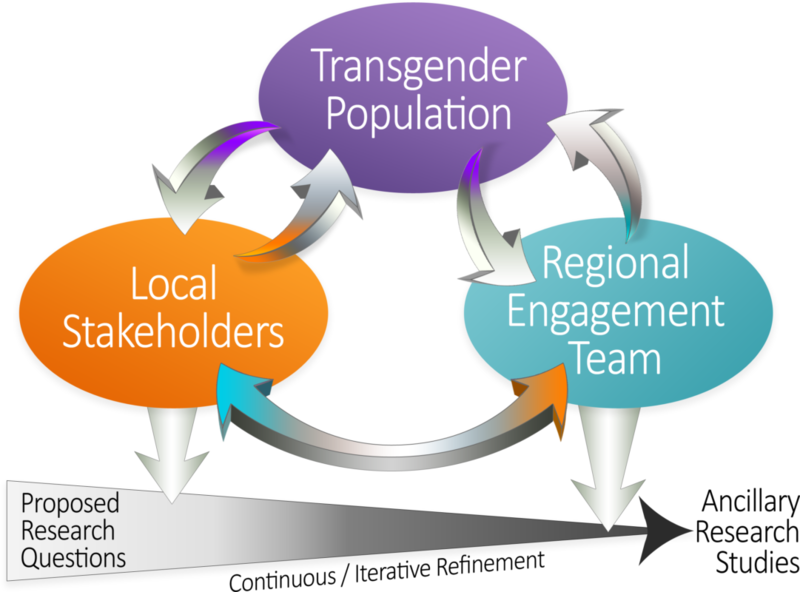 TransFORWARDis a community engagement partner with the University of California San Francisco’s PRIDE Study/net to recruit transgender Texans to participate in studies. For more information on this project. Equality Texas is the largest statewide organization working to secure full equality for lesbian, gay, bisexual, and transgender Texans through political action, education, community organizing, and collaboration. The Equality Texas Foundation works to secure full equality for lesbian, gay, bisexual, transgender, and queer Texans through education, community organizing, and collaboration. Texas Health Institute is a non-profit public health institute established in 1964 with a mission to improve the health of all people. The organization serves as a leading voice in health and healthcare in Texas and the nation. THI’s programs and education offerings accelerate the implementation of new findings, creating opportunities for people to lead a healthy life. This entry was posted in Press Release and tagged PRIDENet, Research.